SPECIAL OFFERS: - 4 Weeks Free or FREE Collection. Must ends Soon. As a family-run business, we take great pride in the range of storage solutions and level of care we offer all our customers. With 800 storage units in 12 different sizes, you’re guaranteed to find a secure, clean and affordable space to store your things with us in Dublin. You only pay for the storage size and time you need. We just need an initial commitment of one month and two weeks’ notice before moving out. It couldn’t be easier! Our modern facility is spotlessly clean, dry and temperature-controlled. This ensures that your belongings remain in perfect condition – even during extended storage periods. Our self storage Dublin facility is easily reached right off the M50 in Tallaght. Free trolleys, large lifts and wide corridors make it easy to store and retrieve items whenever it suits you. With storage units in 12 different sizes, you’ll find exactly the right self storage space for your personal or business needs. 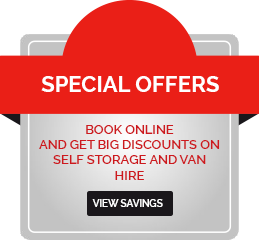 Whether you require a single storage box for small personal items or need a jumbo storage room for your business stock, we have the perfect solution! Our friendly, knowledgeable team of professionals will help make your storage experience as smooth as possible. 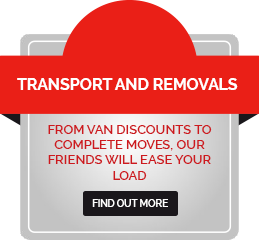 Get useful advice on the process of moving, van hire and professional mover options. Buy insurance, padlocks and packing supplies on our website or at our storage facility.